Why Us?We help you find the solutions that add long-term value, whether as a business or individual. Our PartnersAs a partnership, the emphasis is on collaboration and coming together to share our own areas of expertise. Our TeamIt is our people that add the real value, finding out how you work, to provide customised advice for now and in your future. Our HistoryWe are proud of the M+A story and over 100 years’ experience that has helped create the firm we are today. Accounting ServicesA comprehensive accounting service that ensures all compliance issues are addressed and tax saving opportunities maximised. Audit and AssuranceAuditing services that deliver a thorough review of your accounting records, systems and controls. Business StartupsFrom setting up bookkeeping and payroll systems, to securing finance and complying with tax, our team are here to help. Business Services and Software SupportHelping create business efficiencies with a wide range of support from specialist software to bookkeeping know-how. Corporate FinanceStrategic advice to help buy, sell or value your business, focused to a commercial outcome both now and in the long-term. Corporate TaxationEfficient business tax planning and compliance that enables you to concentrate on running your business. Fee Protection InsuranceProtecting you against unforeseen professional costs arising from any enquiries from HMRC. Financial PlanningM+A Partners has close relationships with a number of Independent Financial Advisers who can offer you a full range of financial services advice and implementation to both businesses and individual clients. PayrollWe are a BACs approved bureau, with over 250 clients and processing in excess of £100m of payrolls. Personal Taxation and Private ClientStraightforward advice that helps you make informed decisions on your personal tax position, investments and strategies. Research and DevelopmentR&D tax credits are a valuable government tax relief, rewarding UK companies for investing in innovation. Inheritance Tax, Trusts and ProbateDetailing and advising on the alternatives available to help minimise future inheritance tax liabilities. VATOur invaluable service guides you through this complex area, making sure you are fully prepared and compliant. AgricultureWe have a specialist team with a wealth of experience advising on the real issues faced by farmers and businesses in this sector. Charities and Not for ProfitHelping charities grow, with advice across the board, from preparing SORP compliant accounts to governance and risk management. ConstructionWorking on your behalf to ensure you meet the specific construction industry tax and accounting requirements. DigitalForward-thinking advice and commercial support that helps you grow in step with this progressive sector. HealthcareSupporting you with industry specific advice and regulatory guidance on budgeting, financial and tax matters. ManufacturingPractical help with accounts and tax benefits to stay competitive in shifting economic conditions. PropertySpecialist tax and VAT advice when buying, letting and developing property. RetailWorking with small, single trader operations and large national multiples to offer accounting and business advisory skills. Schools and AcademiesOur education specialists help you navigate complex audit, accounts and VAT issues, making informed recommendations for the future. TechnologyWorking together to support your venture from the outset, helping with business planning, funding and tax efficient structures. Tourism, Leisure and HospitalityGet the most out of your business with customised advice on tax relief, funding, valuing, buying or selling and future growth. Latest NewsThe most up-to-date industry news and intelligence. What’s on your mind?Answering the questions that matter to your organisation. BlogOur team talks you through the news that makes a difference. Current VacanciesTake a look at our current vacancies and become part of our committed and ambitious team. School Leavers / GraduatesGiving opportunity and training to new talent. General EnquiriesGet in touch if you can’t find your next career move within our current vacancies. 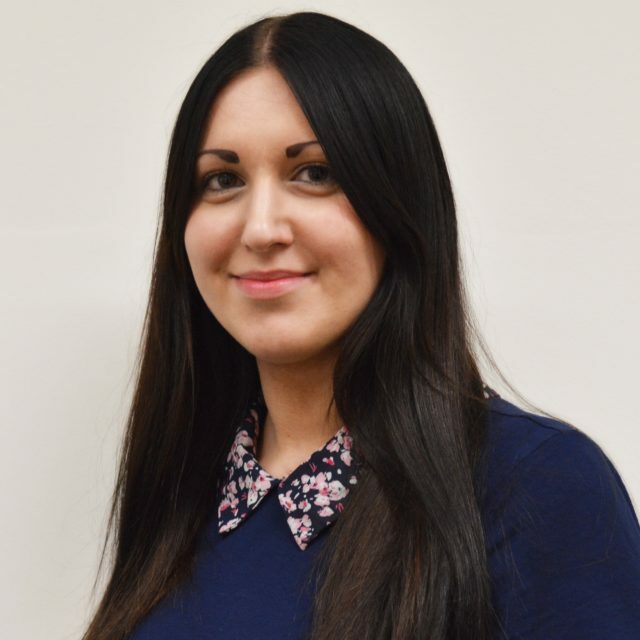 Georgina (Gina) joined M+A Partners as an Accounts Assistant in August 2014, having already worked in a local accountancy firm and qualified as a member of the Association of Accounting Technicians. Since joining M+A, Gina has gone on to qualify as a Chartered Certified Accountant and, whilst completing her ACCA studies, achieved the ‘P2 Prize-winner award’ for the highest mark worldwide in her Corporate Reporting exam and the ‘Silver ACCA Affiliate Prize’ for the second highest worldwide aggregate marks upon qualifying in ACCA. Gina specialises in providing financial reporting services to non-corporate and corporate clients with a particular focus on agriculture. She has an excellent working knowledge of Farmplan and Sage.